Join us for #CattleCon20 in San Antonio, TX! #CattleCon20 is THE event for anyone in the cattle business! The Cattle Industry Convention & NCBA Trade Show is agriculture’s premier event where the industry comes together to get down to business for the cattle industry. The 2020 event will be one of the largest on record and will be something that you can’t afford to miss. Over 9,000 cattlemen and women will gather in for 3.5 days of education, fellowship, networking, business and a whole lot of fun! This event is for YOU! There's something for everyone #CattleCon20! Apply for Convention Scholarships and attend the 2020 Cattle Industry Convention & NCBA Trade Show for free! Scholarships are for farmers and ranchers just like you, YES - YOU! Maybe you're a poet? Enter into the annual NCBA Cowboy Poetry Contest and let your words shine on stage at Convention! Enter into NCBA's Sixth Annual National Anthem Contest, and sing the National Anthem on stage at Convention! Are you a student? #CattleCon20 Internships provide networking opportunities in the Cattle Industry that you won't find anywhere else. Maybe you're a beef advocate and want to help promote the event? Apply to be a Marketing Ambassador! Get involved today! A line-up that you don't want to miss! Convention attendees are invited, and encouraged, to attend these important meetings. Discuss the issues that directly affect your operation and will give attendees the opportunity to network with other producers working within the committees. Please view the schedule for detailed information. 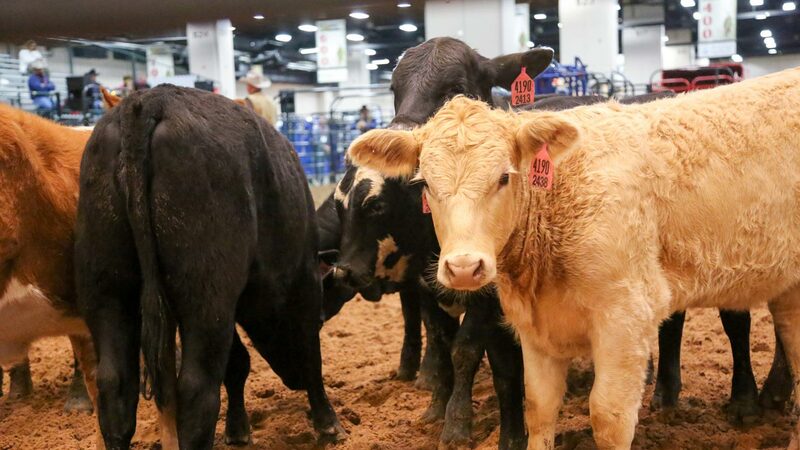 6.5 Acres of the latest and greatest for the cattle business is what you’re going to find at the NCBA Trade Show in San Antonio. Whether you’re looking for new equipment, a new truck to fencing supplies, to the latest in technology or pharmaceuticals and ear tags and feed supplements and so much more! You can find it all (and then some) here. All under one roof. The NCBA Trade Show is your solution center. The NCBA Trade Show is more than just a trade show it’s an event! You’ll have the opportunity to see live cattle handling demonstrations as well as horse health sessions located right on the trade show floor. Attend classroom style education sessions in our learning lounge. It’s not only educational, it’s fun! You will enjoy a reception and entertainment every day. For over 25 years NCBA’s Cattlemen’s College has brought thought-provoking, stimulating sessions that can help generate high returns for your operation. Do you want to learn how to improve your business, build a better herd or maintain a healthy herd that you already have? These are just some of the cutting-edge topics from industry leaders that will be discussed at the 2019 event in New Orleans. Register for Cattlemen's College to find out why year after year this is the #1 resource for education and profit-building advice! #CattleCon20 provides attendees with education, information, fellowship, networking, and decision-making opportunities for the industry’s leading members. You can continue to check back on the website and the NCBA Facebook page as we roll out announcements on entertainment, industry leaders and speakers, and business meetings. You have a stake in the future industry.